Burning logs can be environmentally friendly and a very efficient and cost effective way to heat your home. To achieve this the logs should be seasoned and have very little moisture content, otherwise it becomes inefficient and smoke and pollution will be produced. Beware of sellers selling unseasoned logs with high moisture content. We sell only fully seasoned dry logs that will burn cleanly and efficiently to make your experience of burning wood pleasurable and financially rewarding. 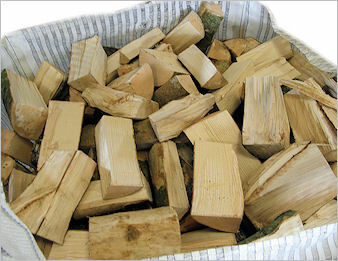 For more information on the quality of our logs / firewood see our firewood page. We offer free delivery on firewood and logs in Huddersfield, Leeds, Bradford, Halifax, Sheffield, Barnsley, Wakefield and the surrounding areas. Why should I buy my logs from Bowker Firewood Logs? 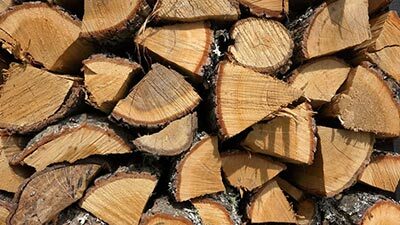 Our logs are competitively priced, low in moisture and will burn slowly and efficiently. This makes it a very economical way to heat your home. The consistent high quality of our logs means customers almost always re-order from us when the time comes to buy more firewood. We are confident you will too! Whether you order by phone or online we offer free and quick delivery around Huddersfield, Leeds and surrounding areas for orders over £50. Almondbury, Barnsley, Batley, Bingley, Birstall, Bradford, Brighouse, Castleford, Cawthorne, Cleckheaton, Denby Dale, Dewsbury, Diggle, Dodworth, Elland, Emley, Fenay Bridge, Fixby, Flockton, Garforth, Golcar, Grange Moor, Halifax, Harrogate, Hebden Bridge, Heckmondwike, Hipperholme, Holmfirth, Honley, Horbury, Horsforth, Huddersfield, Ilkley, Keighley, Kirkburton, Kirkheaton, Leeds, Lepton, Lindley, Lightcliffe, Lockwood, Manchester, Marsden, Meltham, Milnsbridge, Mirfield, Morley, Mytholmroyd, New Mill, Newsome, Oldham, Ossett, Otley, Oughtibridge, Outlane, Penistone, Pontefract, Pudsey, Queensbury, Ripponden, Rochdale, Rotherham, Rothwell, Selby, Sheffield, Shelley, Shepley, Shipley, Skelmanthorpe, Skipton, Silkstone, Slaithwaite, Sowerby Bridge, Stocksbridge, Wakefield, Wetherby, Waterloo, York.